PGS and the Tailwater Lodge put together this awesome winter package. You get two nights lodging at the Tailwater Lodge, hot breakfast at the Lodge and two days of guided float trips on the Salmon River For $875 a $235 savings. The special is good from December 15th thru February 28th. Interested?? Questions?? Send me a email or give me a call. 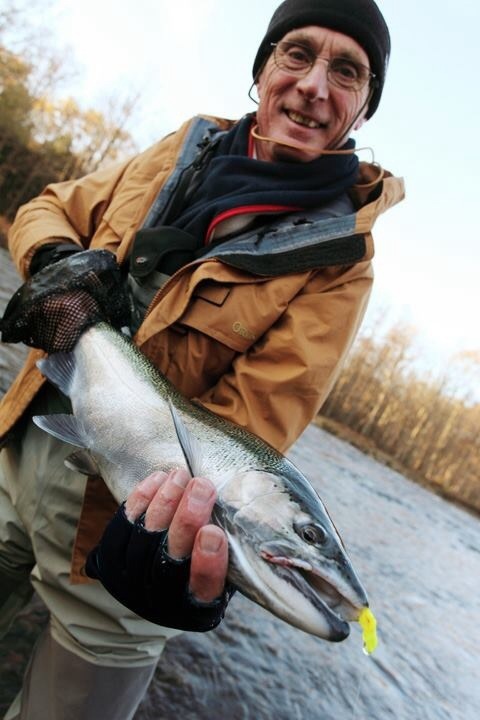 What we lacked in salmon this year, the steelhead are making up for it. If you’re on any social media sites for the Salmon River area you will see a lot of the big steelhead being caught this year. I’m book solid thru all of November but a couple of the guides I use have some open dates. If you want to get in on some great steelhead fishing click here to contact me about booking a trip.